I edit our Utilities newsletter, and my big challenge is finding utilities-related information, sorting and editing, to then share it with you as a tool to support your decision making processes. Digital transformation is a hot topic and the process of preparing for the future is starting now. The in-memory capabilities of SAP S/4HANA extend way beyond the limitations of traditional ERP systems: It combines machine learning based process automation with predictive business processes and provides decision makers with accurate real-time insights. Many of you would like to know which utilities companies already using SAP S/4HANA and their experiences of doing so. Here are some facts: SAP S/4HANA has been available since 2015 and over 2900 customers have already chosen this new platform. Over 1100 of these customers have already gone live. In the Utilities sector, we have around 70 utilities customers in over 20 countries implementing SAP S/4HANA and over 20 have already gone live. We currently have over 20 utilities companies who are implementing our industry solution (IS-U) on SAP S/4HANA. I collected some stories from SAP customers using SAP S/4HANA. The Italian-headquartered utilities company Enel produces, distributes and sells energy in 30 countries on 5 continents. Enel selected the SAP S/4HANA solution for central finance foundation to update and streamline its finance department’s closing process and reporting model. The closing process now takes a mere of 5 working days compared to the 16 previously required and management receives reporting data quickly. Now Enel can continue to pursue its modernization journey while simultaneously enabling new services for its customers. The finance staff at Swiss energy service provider, BKW, needed to replace its 16-year-old, resource-hungry, heavily customized SAP® applications. 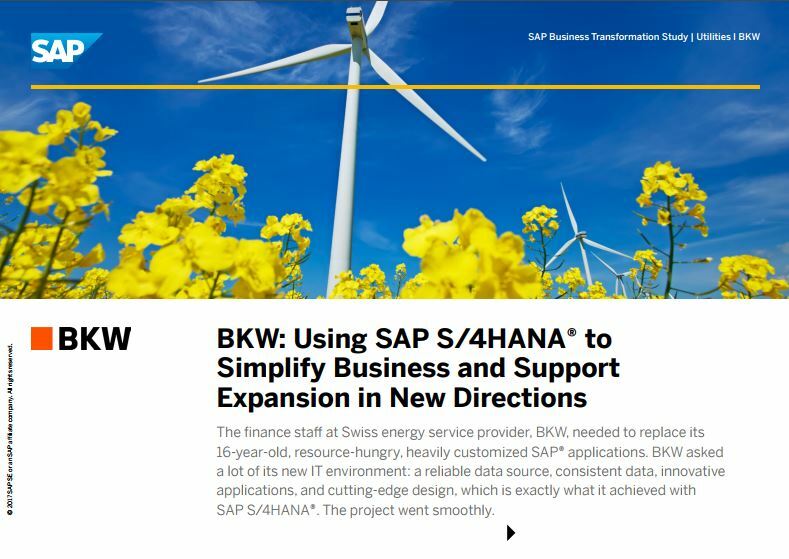 BKW asked a lot of its new IT environment: a reliable data source, consistent data, innovative applications, and cutting-edge design, which is exactly what it achieved with SAP S/4HANA. The project went smoothly. See how, in partnership with Capgemini, FARYS (a utilities provider) implemented the SAP S/4HANA Finance solution following a successful pilot. The new solution supports the complex divestiture and provides real-time business performance data and integrated reporting. The ACEA Group launched a digital transformation program to revolutionize its working methods. ACEA selected the SAP HANA Platform as the basis for an entire new IT architecture, and completely redesigned its business processes. It now benefits from improved customer service, cost savings, increased efficiency, and three times faster equipment repair. We also have a video from Northern Gas Networks how they transformed operations with SAP Digital Boardroom. To evolve its strong position in the market, the company has started an ambitious program to improve visibility and data-driven decision-making across the business and is currently transforming its operations with Real-Time Analytics solutions from SAP. 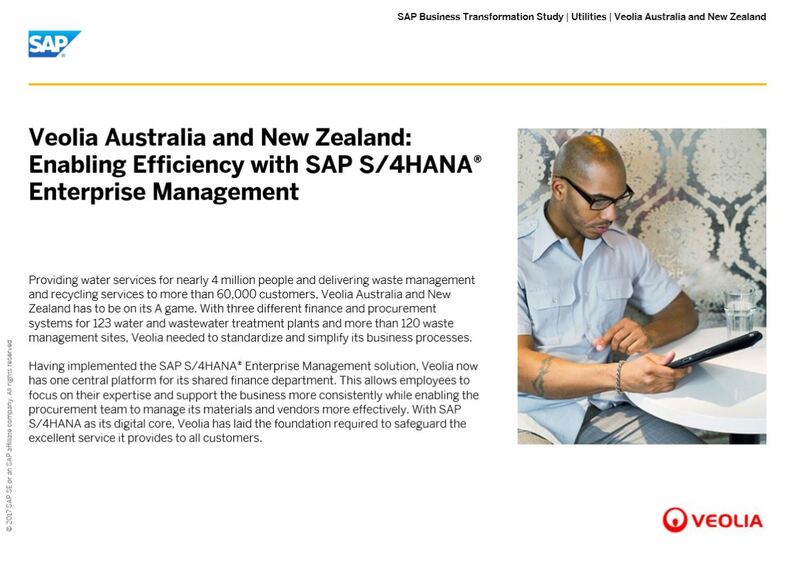 Veolia Water Australia and New Zealand is serving up clean water with SAP S/4HANA Enterprise Management. Veolia now has one central platform for its shared finance department, allowing employees to support the business more consistently, and the procurement team to manage its materials and vendors more effectively. 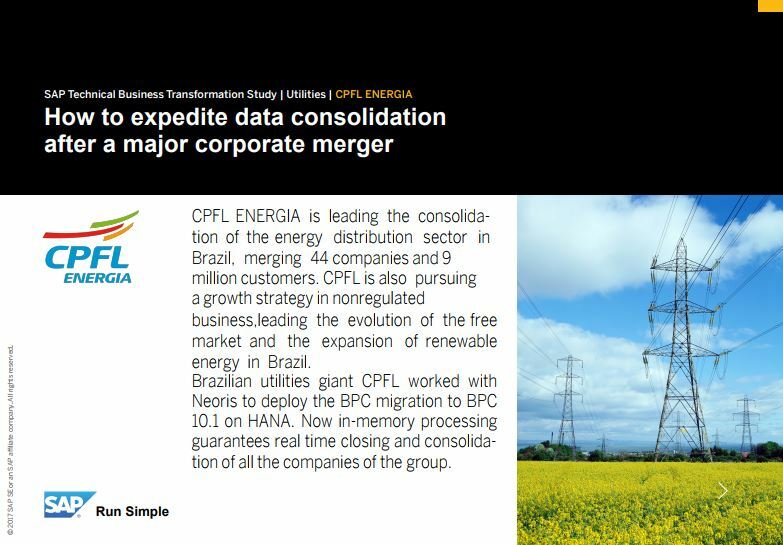 CFPL Energia in Brazil already migrated to SAP HANA and envisions the migration of its ERP and BI to S/4HANA in the near future. For further information please take look at the SAP Road Map for Utilities. Many thanks to all the pioneers who let us participate in their story!